The Puget Sound Institute, under the advisement of the Puget Sound Partnership Science Panel, brought together experts to examine research questions related to the status and trends in abundance, key vulnerabilities, and predator needs of forage fish species in the Salish Sea. Panelists identified a need for a common research and management framework for assessing vulnerability of forage fish, citing multiple threats like loss of shoreline habitat, diseases, contaminants and climate change. The August 25-29th workshop was the first step taken by a March study panel convened to assess the state of the science, conduct synthetic and quantitative analyses, and make management recommendations related to forage fish in Puget Sound over a period of 1-2 years. This was the first in what is expected to be a series of meetings by the group. The study panel was chaired by Puget Sound Institute Research Scientist Tessa Francis, and co-chaired by Tim Essington of the University of Washington and Marc Mangel of the University of California, Santa Cruz and Puget Sound Institute. Additional panel members included Doug Hay, Department of Fisheries and Oceans, Canada, Paul Hershberger, United States Geological Service, Dayv Lowry, Washington Department of Fish and Wildlife, Alec MacCall, NOAA – Southwest Fisheries Science Center, Ole Shelton, NOAA – Northwest Fisheries Science Center, and Megsie Siple, University of Washington. The importance of long-term monitoring strategies that address key scientific questions. Initial activities planned by the panel include constructing a life-history model of forage fish that will both form the foundation of an analysis of key vulnerabilities of forage fish, as well as be used in a larger management strategy evaluation model. In addition, the panel proposes to assess the sensitivity of predators to changes in forage fish population to not only inform questions about ecosystem needs for forage fish, but also to indirectly quantify the status and trends of forage fish species for which we have no direct measurements of abundance. 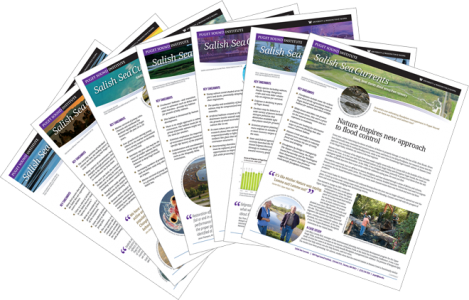 A formal report describing the workshop will be presented to the Puget Sound Partnership Science Panel. Download the preliminary study panel description. 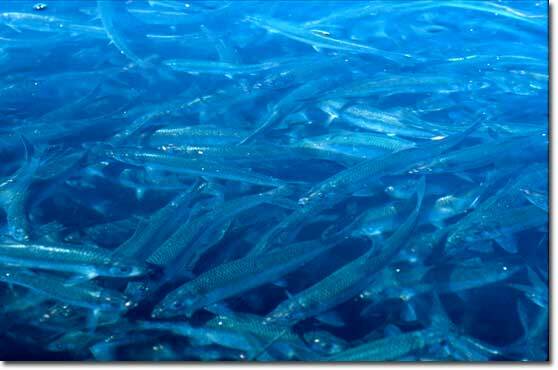 Read more about forage fish in the Encyclopedia of Puget Sound.